I’m pretty useless at wearing jewellery, but for my birthday last year (which I got given a few weekends ago – this means I get an extra birthday day, right? 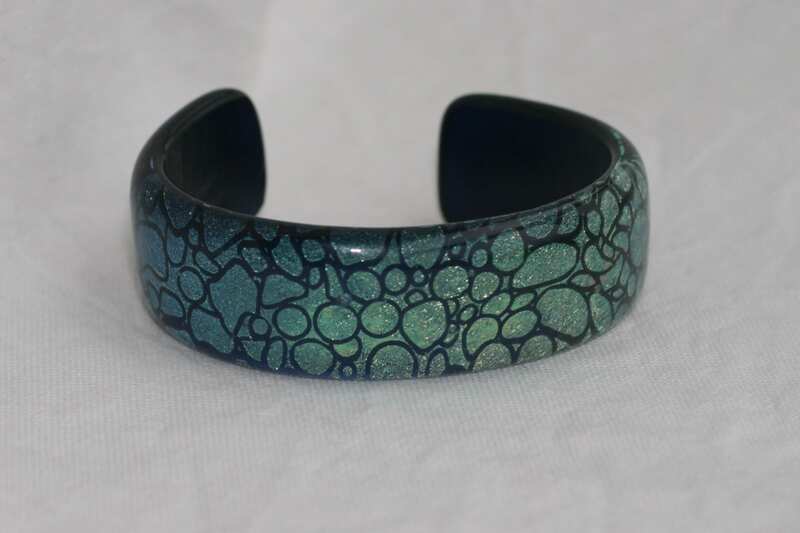 ), the Wife bought me this beautiful handmade glass bangle (cuff? bracelet?). Its from www.handmadeprettylittlethings.com (which appears to be down at the moment, unfortunately!) but is a blue glass bracelet with a goldish pattern through it. I can’t normally wear bracelets, because they bash against my desk, but this one is perfectly shaped so it doesn’t annoy me!